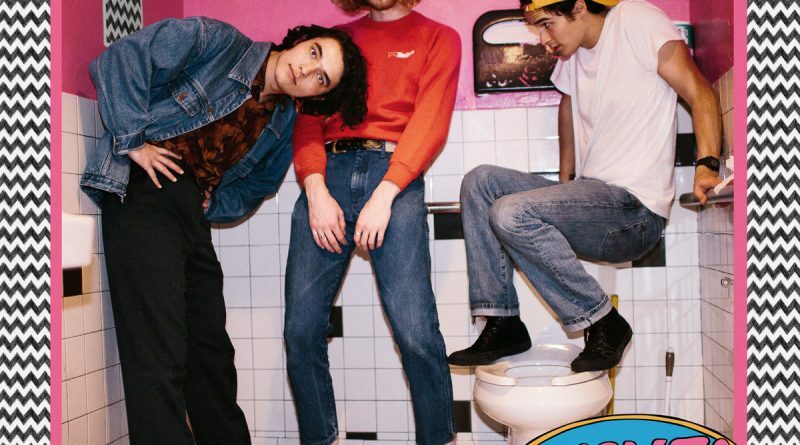 Perhaps you’ve heard of Naked Giants from way back in 2015, when they claimed the 2nd place title in MoPop’s annual battle of the bands competition. Or, perhaps you’ve heard of the Seattle trio from their more recent endeavors, which include a staggering amount of local shows, and more notably, touring with critically acclaimed indie rockers Car Seat Headrest. Familiar or unfamiliar, there’s a good chance that you have no idea what to make of their debut album title, which is simply the word SLUFF. So, what is SLUFF? In interviews, the band has stated its meaning to be “everything and nothing.” Even if you find the album to be about nothing, there’s no denying that it’s a ridiculously fun listen through and through. On each of the record’s 12 songs, Naked Giants possess boundless energy, and more technical skill than many rockers twice their age. Naked Giants could and have been categorized as psychedelic garage rock – their punching guitar riffs, bold basslines, and unceasing drumming may certainly make it seem so – but it would be unwise to attempt to shove the trio into any sort of box. With a vintage flair and a subtle hint of blues within many vocal and instrumental sections, it’s clear that Naked Giants are taking more and more musical risks as their career progresses. No song on the record embodies this better than the six minute track “TV.” Filled to the brim with innovative tempo changes, face-melting guitar solos, and singer Grant Mullen’s yelping vocals, “TV” is truly a sonic adventure. There’s no doubt that Naked Giants can transport their listeners into a different world with the sheer power of many of their songs. It’s also worth mentioning that they can also write a catchy hook like nobody’s business. The chorus of “Everybody Thinks They Know (But No One Really Knows)” repeats itself in a sing-song manner, wedging itself further into your brain with each utterance. “We’re Alone” practically begs the listener to sing along to the chorus, as the band chants the title over and over again. SLUFF comes to end with a total curveball of a track. “Shredded Again,” a seven minute long acoustic ballad, is the kind of tune you could picture being sung around a campfire with all of your closest friends. 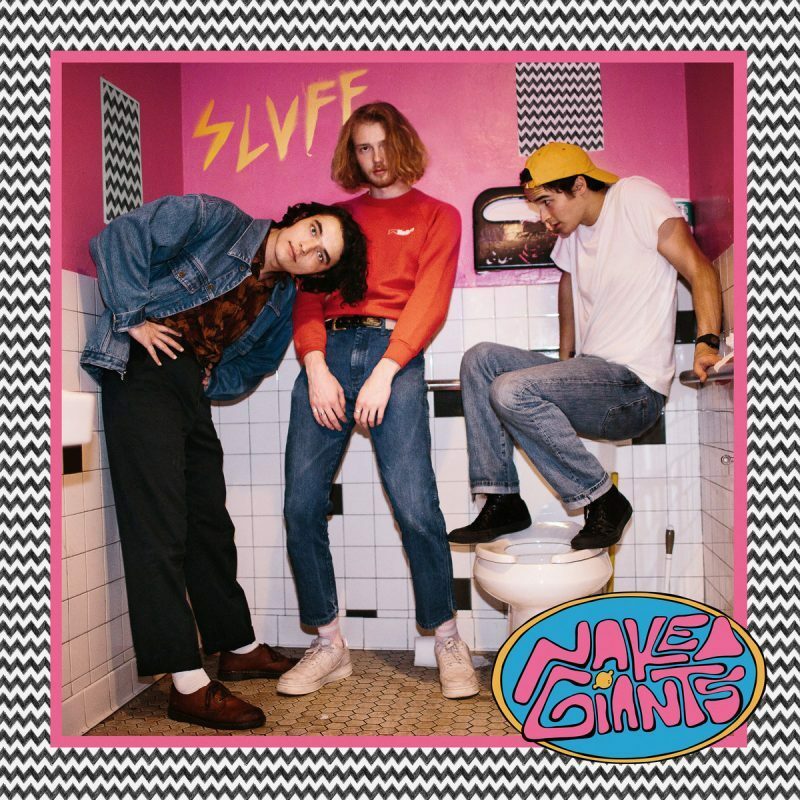 With a sparky charisma, the elevated raw power of a young garage band, and an incredible ear for melodies, riffs and hooks, Naked Giants lay a firm foundation for the rest of their career with the New West Records released album, SLUFF.